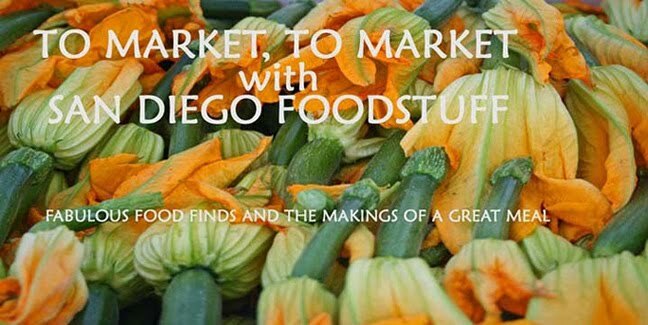 To Market, To Market with San Diego Foodstuff: Dollar-a-Dish on NBC San Diego! Thank you to NBC San Diego's Catherine Garcia for getting our Food 4 Kids Backpack Program fundraiser on the 5 p.m. newscast yesterday. She did a great job with it, as did Diane Stopford and the folks at Alchemy, who are one of our Dollar-a-Dish participants (And kudos to our PR wizard, Peyton Robertson of Bay Bird, Inc.). If you missed the segment when it aired (I can tell you my mother didn't. I got the "turn on the TV now" call! 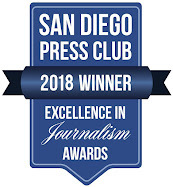 ), you can watch it on the NBC San Diego website.